With the international break coming to an end, it’s time for the Scottish Premiership to resume. With the international break coming to an end, it’s time for Europe’s top leagues – and indeed the Scottish Premiership – to resume. We pick up with Aberdeen leading the way on 12 points from Celtic and St. Johnstone who are both on 10 points. At the other end of the table, Partick Thistle are yet to get off the mark while Kilmarnock and Dundee have a point apiece. Hamilton have enjoyed a pretty solid start to their season despite an opening day defeat at the hands of Aberdeen. They’ve since gone on to win against Hamilton and Hibernian while earning a 2-2 away draw with Kilmarnock. 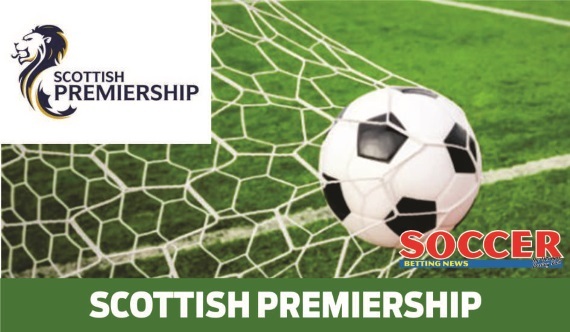 They will face a stern test this Friday evening when they welcome a Celtic side who come into this off the back of a 1-1 draw at home against high-flying St. Johnstone. Brendan Rogers will demand nothing less than three points lest they want to lose even more ground to Aberdeen who lead the way on the log. The Bhoys were held – surprisingly so – to a 1-1 draw with St. Johnstone at Parkhead. Despite being away from home, I fully expect Celtic to come back strong after the international break. Back the Hoops on the (-1) Handicap at 6/10. It’s early days in the league and already there’s a feeling of dread around the Ibrox. Rangers have endured an awful start to their 2017-18 campaign. From being defeated over two legs by Progres of Luxembourg to finding themselves in fifth place on the log after four matches and will be feeling the unrelenting pressure of the Ibrox faithful should the results not turn around soon. While Rangers fans will be hoping for results to turn in order to challenge for league glory, Dundee FC supporters will be praying they can get on track in a bid to avoid relegation. The side finished third from bottom last season ahead of Hamilton and Inverness. They grabbed a decent 1-1 draw at home against Hibernian before the international break but I just don’t see them getting a result at Rangers. Back the home win at 3/10. St. Johnstone have picked up where they left off last season, mixing it up with the big boys at the right end of the table. They’re one of three undefeated teams after four matches, earning an excellent 1-1 draw away at Celtic prior to the international break as Steven McClean struck in the first half to put Tommy Wright’s men in the lead, only for their hearts to be broken by a late Calum McGregor rocket. Neil Lennon’s Hibernian side started the season off well enough, beating Partick Thistle and Rangers before a defeat against Hamilton and a 1-1 draw with Dundee brought them back down to earth. Whether or not they can arrest this dip in form remains to be seen with St. Johnstone in such good early season form. I’m tempted to back the home side here, however, the international break may just disrupt their momentum a bit. Get on the Home/Draw Double Chance at 9/20 instead. We’re off to Dingwall next for Ross County’s match against pointless Partick Thistle. The hosts have now lost four on the trot in all competitions and desperately need three points from Saturday’s fixture before they come up against sterner tests in the form of Celtic and Hibernian. Despite being pointless after four games, the Jags have lost their last three league fixtures against Celtic, St. Johnstone and Aberdeen – the current top three – by the odd goal. Such performances against the big boys will give Alan Archibald reason to be optimistic heading into this weekend’s clash. This is likely to be a close-fought affair, and while I’m tempted to tip the draw, I think the visitors will just edge it. Hearts are another side who have flattered to deceive so far this season. Craig Levein will need his charges to buck up come Saturday or they’re likely to be on the wrong end of an Aberdeen walloping. A 2-1 loss against a struggling Motherwell before the break would have given Levein plenty of time during the international break to work on the issues that have plagued his side – three goals in four games isn’t a particularly good return for a team that should be challenging in the top half of the table. Aberdeen have been spectacular this season, adopting the same sort of mentality that Sir Alex Ferguson instilled in his Manchester United side that dominated the nineties and noughties – concede as many as you want, just ensure that you outscore your opponents. Back to back 2-1 wins over Dundee and Ross County was followed up by a thrilling 4-3 against Patrick Thistle before the international break. Back the away side to Win and Both Teams to Score here at 26/10. Steve Robinson’s men have turned things around quite nicely since back-to-back defeats in the first two rounds of league action. The Steelman play at home again this weekend in a game they’re widely expected to win – not always ideal playing in front of an expectant home crowd against a side struggling at the wrong end of the table. Kilmarnock will come to Fir Park with very little to lose against a side that is better than them in just about every department. Lee McColloch didn’t lose an awful amount of players to the international break and would have worked hard to ensure they’re 100% ready for a tough run of games that will see them play Motherwell, Aberdeen and Dundee. Home win here for me, by a narrow margin.